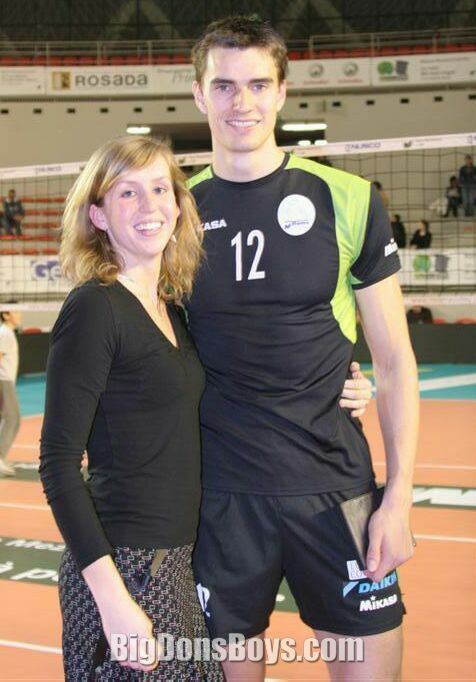 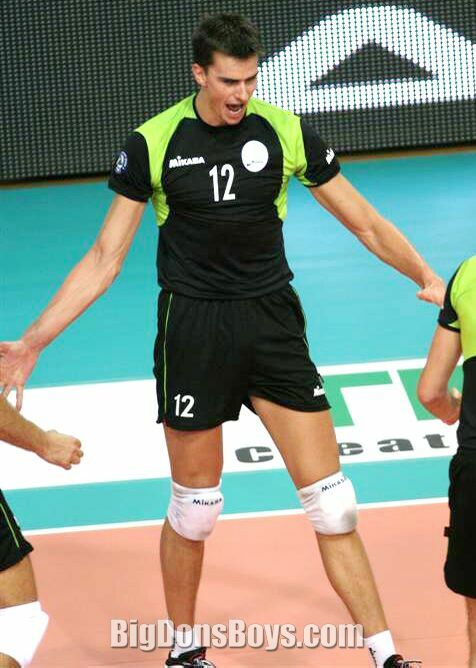 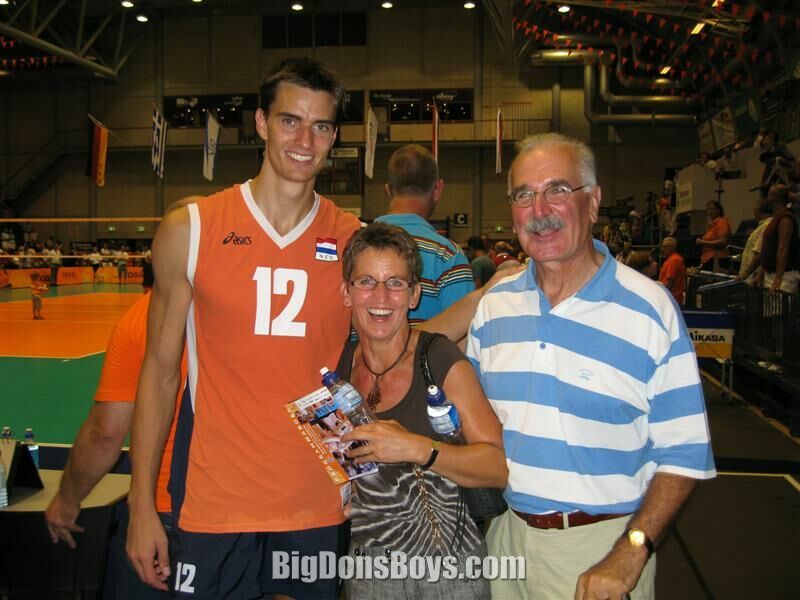 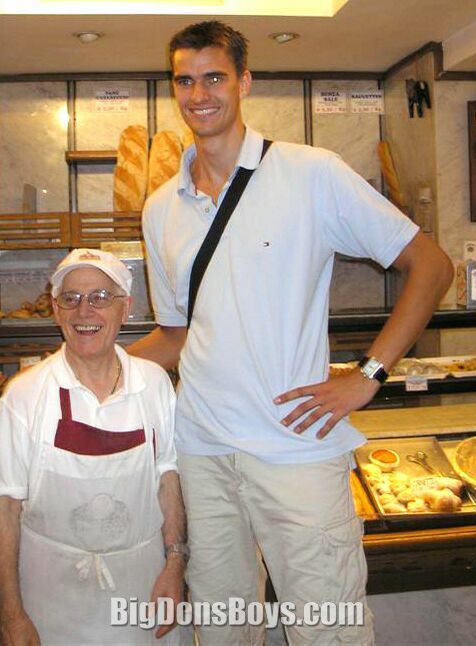 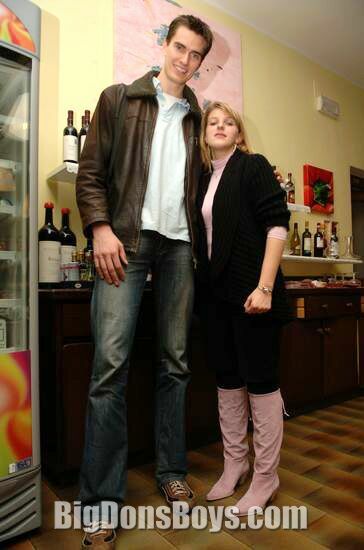 6'10" Dutch volleyball player Wytze Kooistra is built like a male model on stilts but he's not just a pretty face. 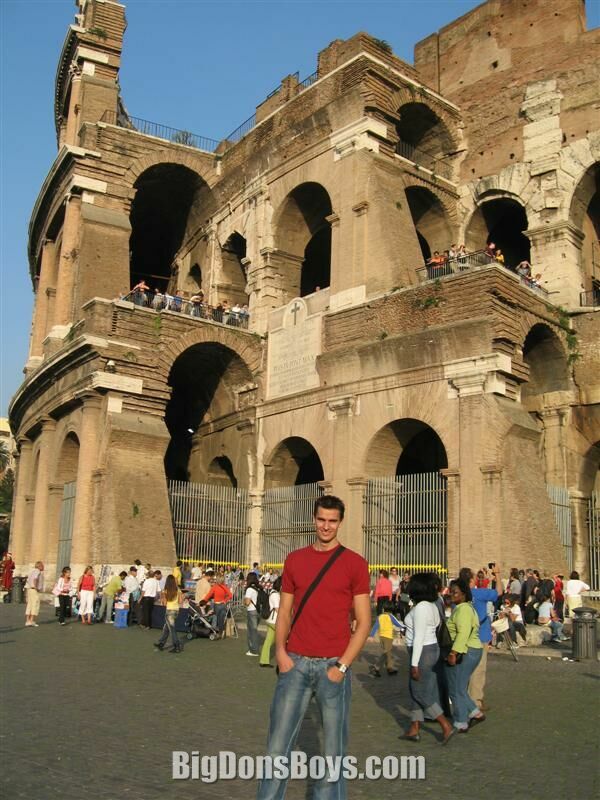 He also has a very intelligently written website that is updated often by him and comes in two languages. 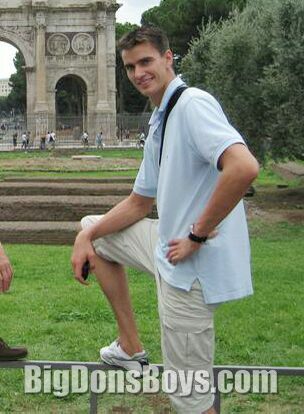 Meanwhile most pro jocks barely have an Internet page of their own at all. 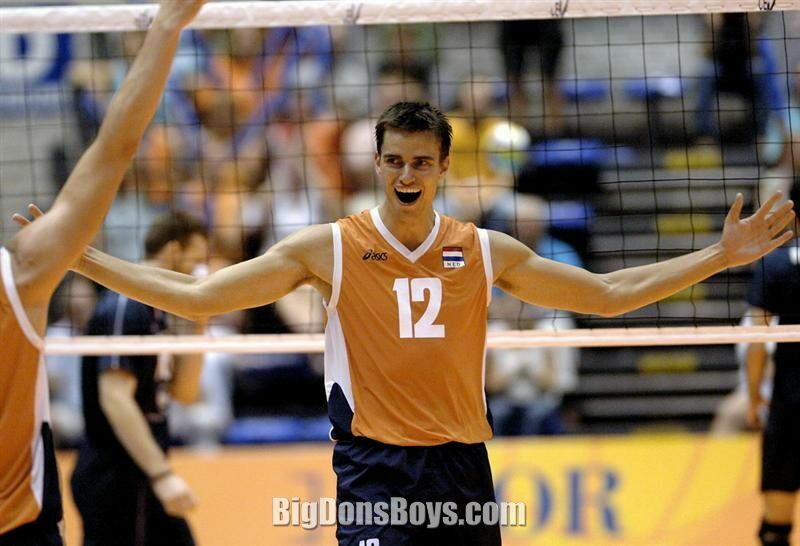 He was born in 1982 in the Netherlands and started playing volleyball at age 18. 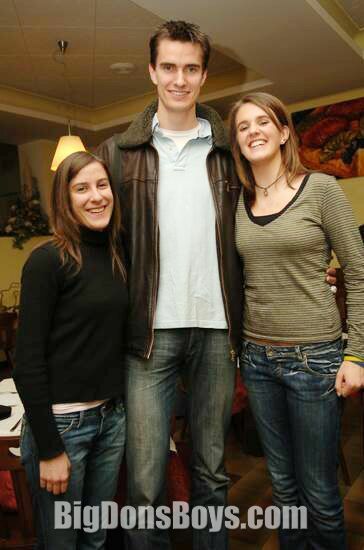 Later he moved to a town where he could play more competitively at higher levels. 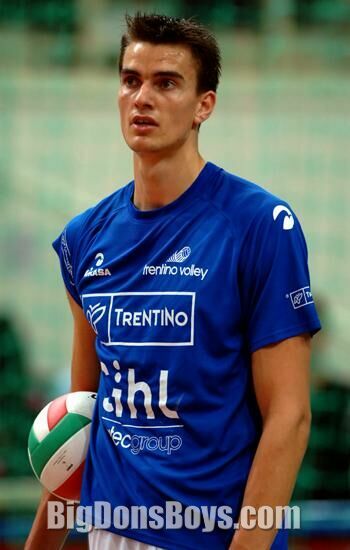 Eventually he won national championships and played for several European teams before finally signing a contract with his dream team, Italy's Itas Diatec Trentino. 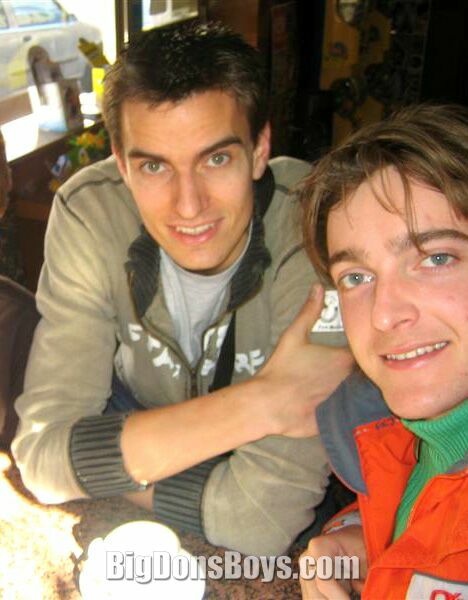 He was doing all this while also attending school at the University of Groningen majoring in Business Administration. 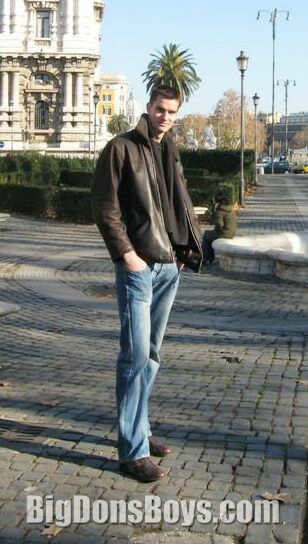 He graduated in 2005 and that probably explains why his website is so well thought out. 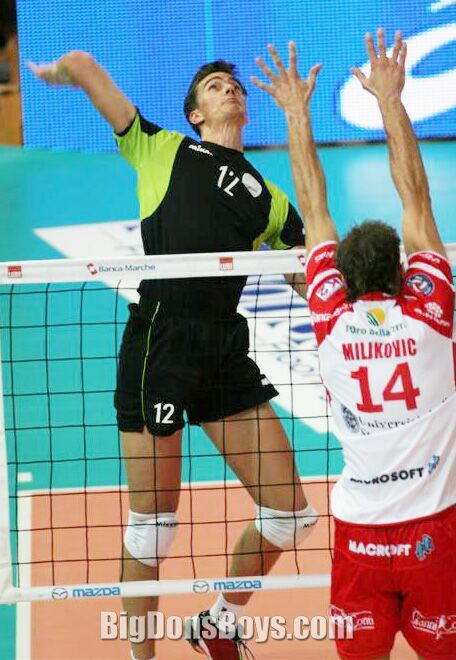 He began his career as a middle-blocker. 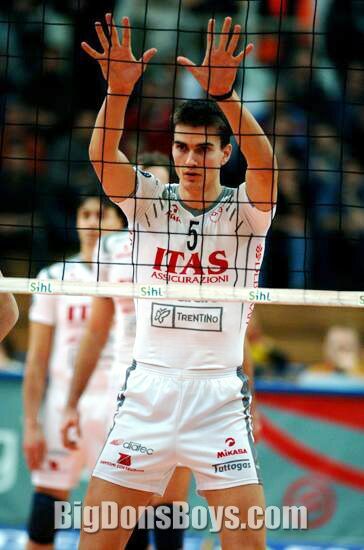 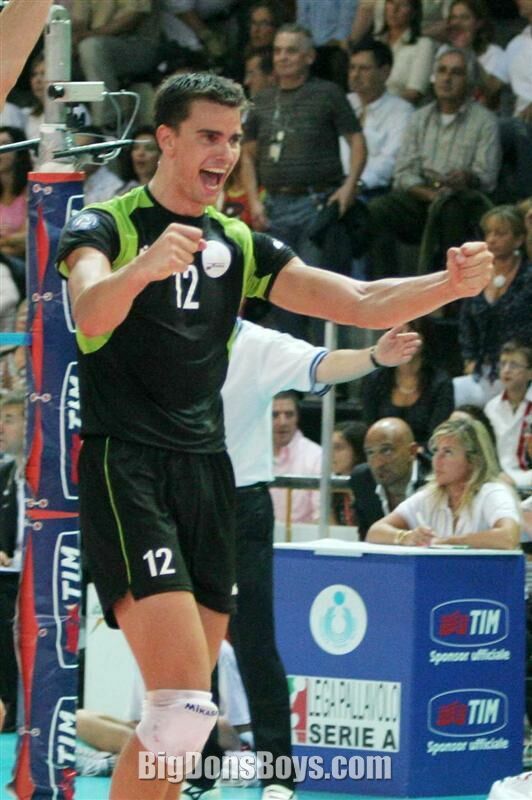 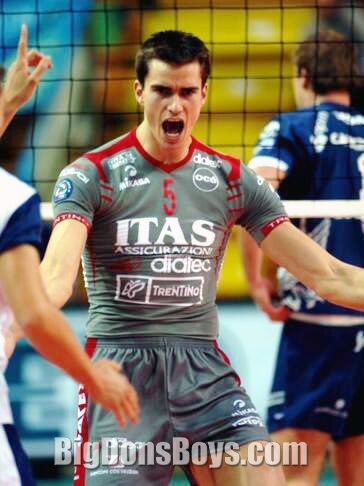 In 2013, he played for his national team as a spiker, and now he is playing in this position at his club. 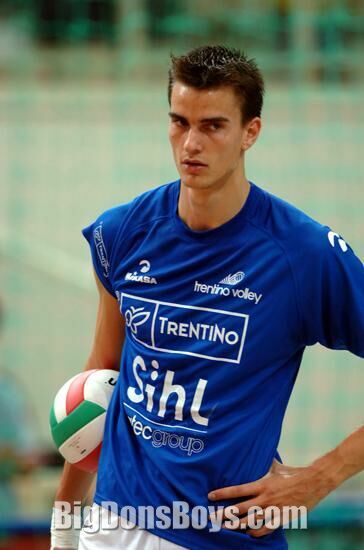 His first professional club was Lycurgus. 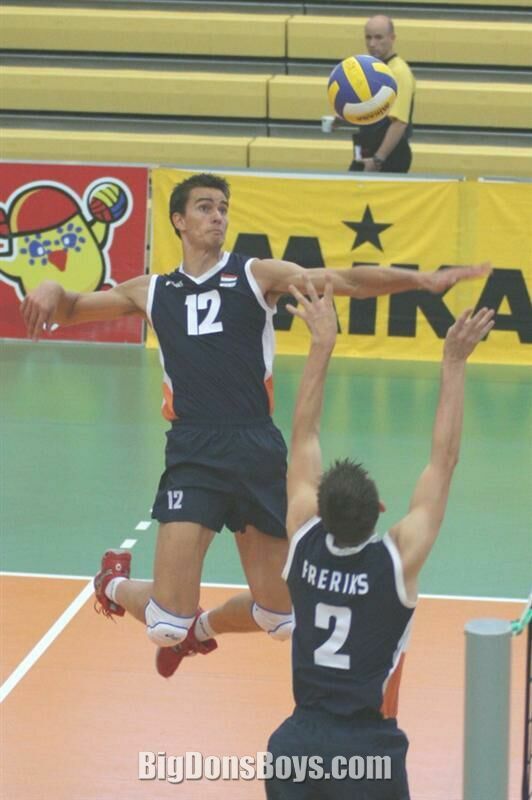 During the seasons 2002-2005, he played for Piet Zoomers. 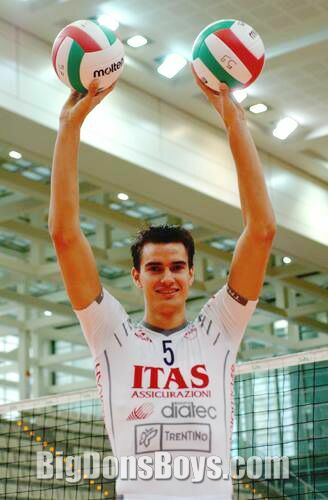 In 2005, he moved to Itas Diatec Trentino. 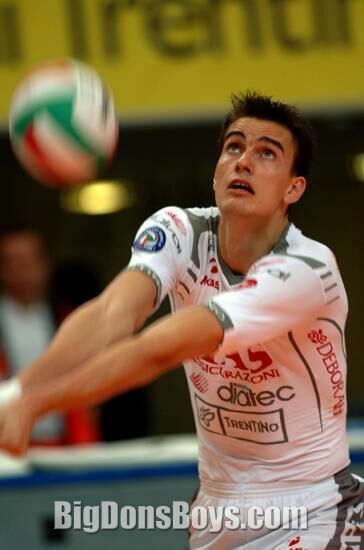 In 2011, he moved to Polish PlusLiga team, PGE Skra Bełchat�w. 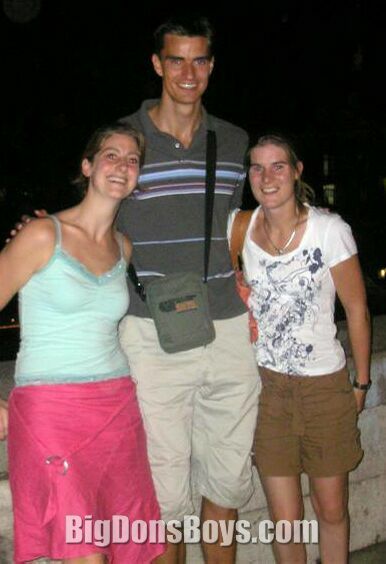 For a long time he was a reserve player. 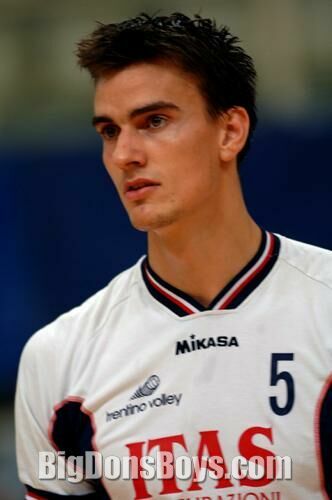 With the club from Bełchat�w, Kooistra won the Polish Cup of 2012, a silver medal in the Polish Championship in the season 2011/2012 and in the Polish SuperCup of 2013. 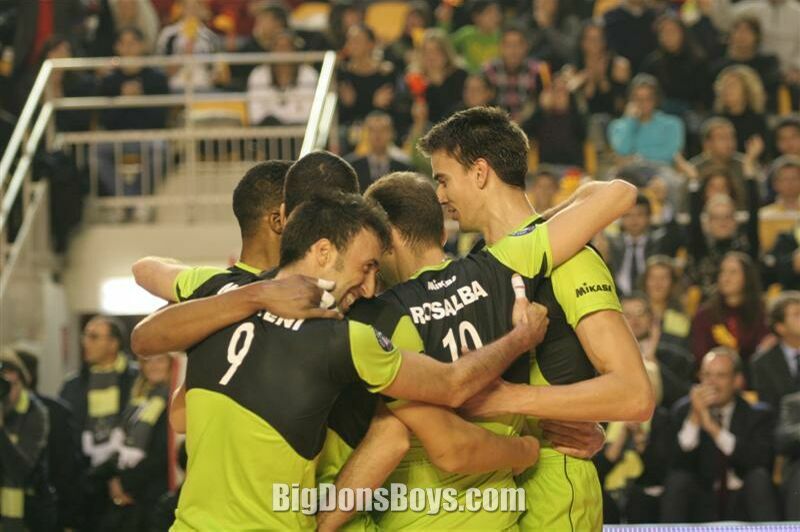 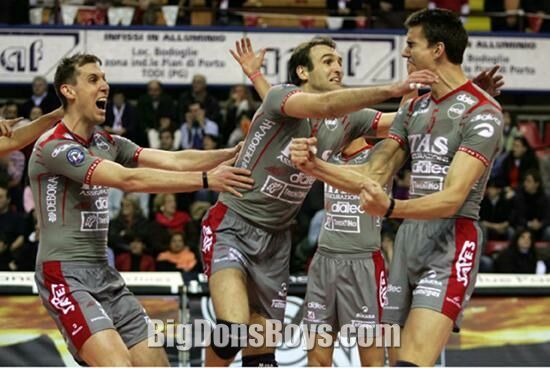 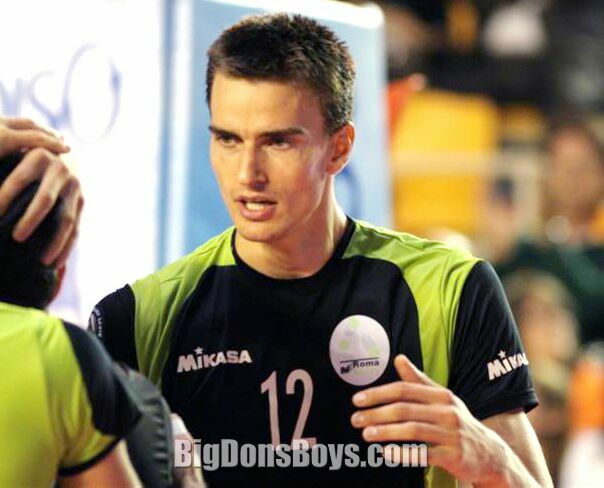 He is a silver medalist of the CEV Champions League, which was held in Ł�dź, Poland. 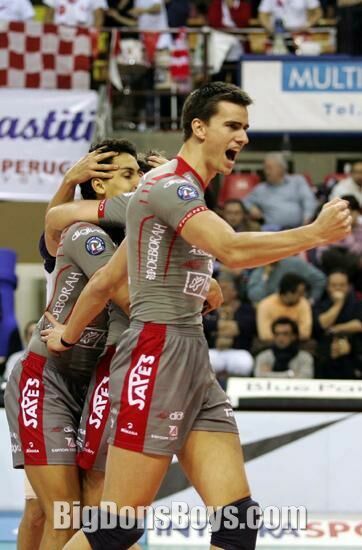 In 2013 moved to another Polish PlusLiga club - Cerrad Czarni Radom. 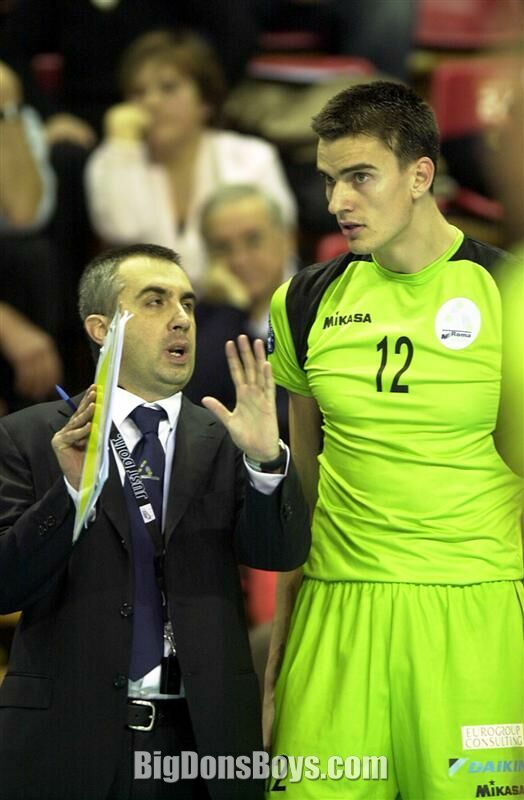 I have no idea what language Wytze is speaking but he sure looks great doing it!